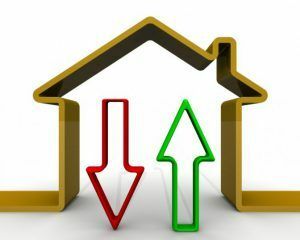 Property transactions were down across the whole of London, as well as England and Wales, in 2018, according to the latest Residential Index from London Central Portfolio (LCP). 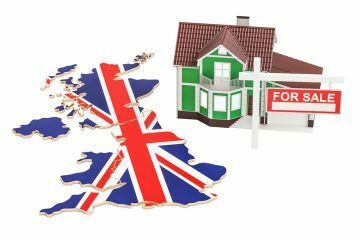 The investment firm broke down the property markets across the country, into prime central London, Greater London, and England and Wales (excluding Greater London), looking at their performance during December 2018. The average house price in prime central London (excluding new builds) in December was £1,844,031, following a month-on-month decline of 6.0%. On a quarterly basis, prices were down by an average of 10.2%. Property transactions fell by 16.4% in the year to December, to a total of 3,514 – the lowest level recorded and a drop of over 46% on 2014. The average new build house price in prime central London was £4,461,072 in December, representing a premium of 74.3% over existing stock. In the fourth quarter (Q4) of 2018, new build sales fell by 75.1%, to just 57. Naomi Heaton, the CEO of LCP, says: “Whilst prices have increased marginally over the year, this is not a cause for optimism. It is attributable to greater activity at the higher priced end of the market, where the most significant discounts are available. This skews average prices upwards, but even this high-end effect is tapering off as activity stalls. “There were just 3,514 recorded transactions in 2018, fewer than 68 sales a week. This represents a fall of 16.4% over the year, and sales are now below the previous all-time low seen during the global financial crisis (GFC). There were just 57 new build transactions in the last recorded quarter. “The political turmoil the UK is currently weathering is being acutely felt throughout the country, but nowhere more so than in prime central London. With the Prime Minister’s deal being voted down and no clear cross party consensus, it appears we are now even further away from a post-Brexit road map. This continues to dampen investor sentiment. “However, from a buyer’s perspective, this period of low competition and suppressed prices is an excellent opportunity. The fundamentals that underpin the desirability of prime central London as a global destination have not changed. The average property value in Greater London ended 2018 at £619,888, following a quarterly drop of 1.1%. However, on an annual basis, prices were up by an average of 1.3%. Year-on-year, property transactions were down by 7.1%, to just 86,869 – the fourth consecutive decline. New build property transactions recorded greater decreases, of 19.1% over the year. The average new build house price was £698,485 in December – a 20.8% premium over existing stock. Heaton comments: “Average prices for Greater London in December 2018 were £619,888, falling by 1.1% over the final quarter. This is lower than the average price seen in June 2017, when the Prime Minster held a snap general election. At the time, she declared that it was “the only way to guarantee certainty and security for the years ahead”. With the benefit of hindsight, this has not been the case. “The average price for the last 12 months to December was £615,625, representing annual growth of just 1.3% for 2018, the lowest level since the GFC. “Transactions for 2018 amounted to 86,869, a drop of 7.1% over the year. Sales in the capital have now declined for four consecutive years, amounting to a fall of 27%. 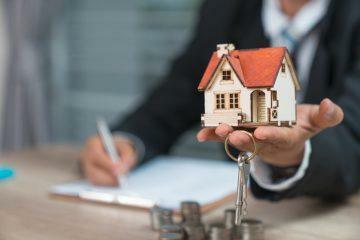 “This decline coincided with the introduction of graduated SDLT [Stamp Duty Land Tax] and the Mortgage Market Review, which had a disproportionately negative impact in Greater London, where average house prices are significantly higher than the UK as a whole. Across England and Wales, the average house price in December stood at £262,126. This followed a monthly increase of 1.3%, but a quarterly decline of 0.7%. Year-on-year, the average property value was up by 2.8% – the lowest level of growth since 2013. Annually, property transactions decreased by 3.7%, which marks the greatest drop since 2008, to hit 783,913. New build sales stood at 93,619 in December, following a yearly rise of 3.6%. The average new build house price ended the year at £299,617, representing a 14.8% premium over existing stock. Heaton says: “Transactions for 2018 stood at 783,913, a drop of 3.7% over the year. This is the largest annual fall since the GFC as a wait-and-see attitude towards moving house or investing becomes ever more prevalent. “Whilst transaction levels have fallen ever since the introduction of additional rate Stamp Dutyin 2016, undoubtedly the uncertainty around Brexit is having a far more punitive effect than increased buying costs. This negative sentiment has also spilled into the new build market, where growth in annual transactions is just 3.6%.